So I usually lay out my clothes on the floor. Not sure why I started doing this, but it has always worked for me…until Louie came along. He assumes anything I put on the floor is fair game for him to lay on, eat, take to the other room, etc. I always make a list that includes every day of our trip, what we will be doing, what kind of clothes we will need and then I lay out each days clothes. This side of the bed was my daytime casual clothes. We were planning to stay at the Greenbrier the entire time, shopping, going to the spa and just relaxing. So during the day nice casual clothes were fine. I usually only pack what I need plus one extra shirt…just in case. Notice I managed to get by with one pair of daytime shoes for the entire trip. At night, however, the Greenbrier has a dress policy for most restaurants and the casino. I love this because I enjoy dressing up and making events seem special. This side of the bed was my dinner/nighttime clothes. I always try on each outfit to make sure it fits, looks good, etc. Then I pick out my shoes and accessories. 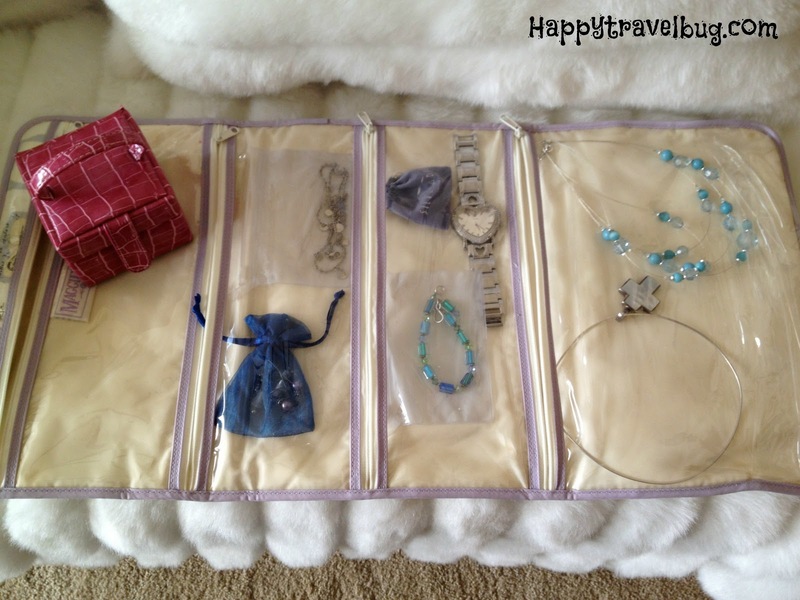 While I have on each outfit, I pick out the jewelry that looks best with it and pack it up in my jewelry case. I try to pack as little make-up as possible to keep things more organized. To make sure I don’t forget anything, I mentally go through my make-up routine with each outfit on and lay out what I might need. Of course, I have a lot of the same things for each day, but there might be a certain eye liner, shadow or lip color that I would miss if I don’t do it this way. It also keeps me from bringing EVERYTHING! Lastly, I lay out all the other stuff I need. I start the night before when I get ready for bed. I leave out everything I use on the bathroom counter. Then I won’t forget it the next day. I have the usual list of things I take on every trip and I just add in the little things special for the Greenbrier. I hardly ever forget something doing it this way. Now it’s time to start loading the suitcase. Louie breaks my heart when he looks at me this way, especially when I know he won’t be going with us. 🙁 If my shoes will fit on the bottom, I put them there. If I have too many, I put the extras in shoe bags so they don’t get my clothes dirty. All the clothes fit perfectly with room to spare. 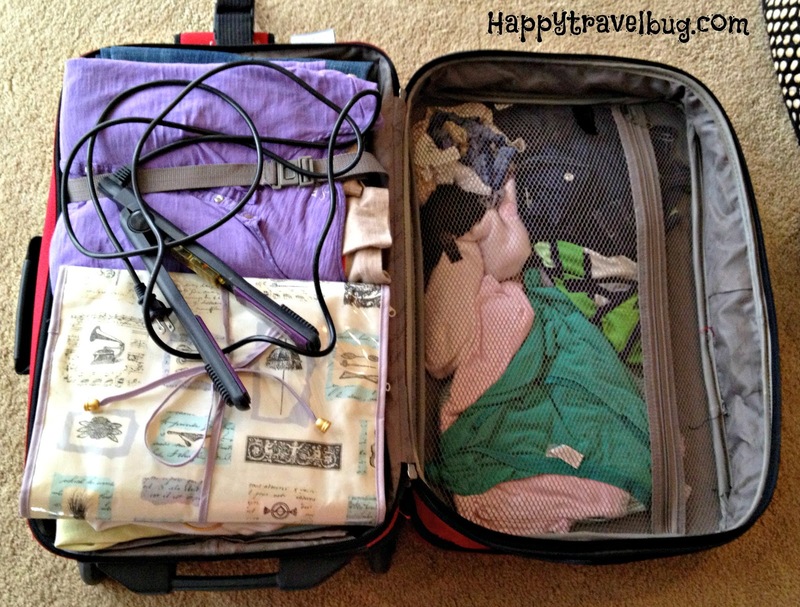 This was a five day trip, with multiple outfits per day, so I was happy it all fit in a carryon size bag. Then the rest went on top of my clothes in my suitcase. That’s it folks! The blue bag will go up front in the car with me. There are snacks, lots of magazines for me to read and my new camera to study. The other two will go in the back and be easy to grab and carry in to the Greenbrier. Another successful packing! 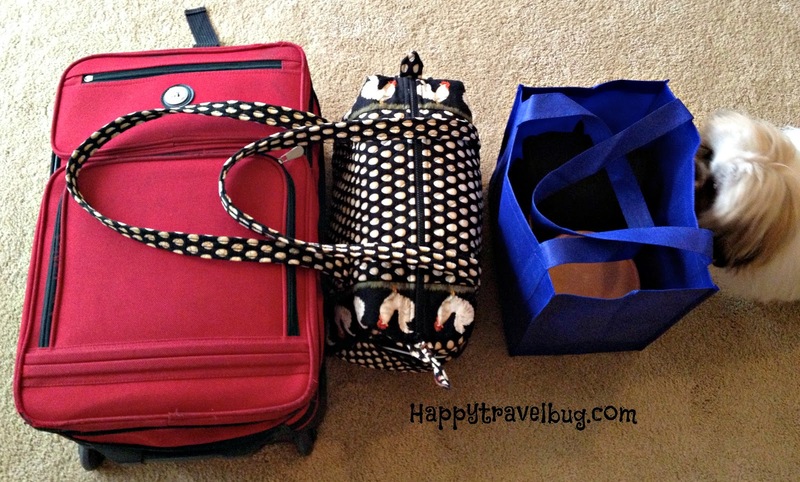 Are you an organized packer or the kind that just throws everything in and hopes for the best? You are very organized! Love the skirts too. I get so uptight about packing, it's ridiculous. Then I put off packing because I'm so afraid I won't remember everything. I honestly love to organize things. I don't think putting off packing is the best method to helping you remember everything! lol But I understand what you mean…I do that with housework! I wing it…my wife will pack days ahead of time, but especially if its for business, I pack right before I leave. Luckily we travel alot so we do not always "unpack" everything. Our suitcases is the permanent home of extra glasses, contact solution, first aid kit, extra toothbrushes, etc….add clothes and we are done! I do what you do with regard to putting things on the spare bed but usually far too much. Husband is the organised one, he loves packing the cases although for one trip left out all of my underwear! That's hilarious! I hope you got some really nice new underwear on your trip! I love the step by step method with pictures here, Sonja! I'm an organized packer and we do the whole laying out of outfits too. When flying, we don't have our own separate luggages. We put everyone's set of clothes in different carry-ons and checked-in luggages just in case one gets lost or delayed. I like the idea of mentally going through the make-up routine with each outfit. Great ideas! I am very impressed! I think I am very organized, but I think you have me beat. The pictures are fantastic, but, of course, the best part is Louie! Wow! This is an amazing play by play of packing! And Can I just say I am loving that middle white skirt with the flowers?! Fabulous! 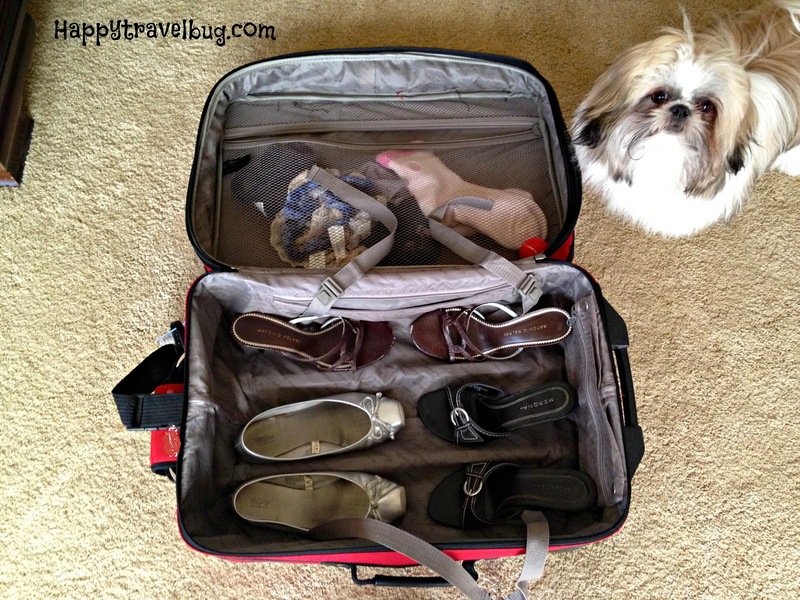 Thanks for linking up to Travel Tips Tuesday this week. Hope we see you again!